Step in the Name of Consent? By now we all know of the scathing allegations against the self-proclaimed “King of R&B” R. Kelly. Kelly has had a two-decade long career making hits that have appealed to several generations of fans. From Step In the Name of Love – the song that seems to light up every summer BBQ and get the elders and adults on their feet, usually followed by the term “you don’t know nothing ‘bout this.” I Believe I Can Fly – the song that preschoolers and kindergarteners have sung their little hearts out to as their stepping up commencement is in transaction to a crowd of teary eyed parents and Bump N’ Grind – the song that’s on the playlist at almost every young adult formal as chaperone’s scramble with flashlights breaking up the overly frisky. R. Kelly has managed to make himself a household name despite the very public court cases and allegations that have trailed his legacy (because no matter how you feel about him, he yes indeed has a legacy). Anyway, if you haven’t been keeping up until recently, the beginning of the end – or so it would seem, for R. Kelly came in July 2017, when Buzzfeed broke the 4,800-word report that three sets of parents are claiming R. Kelly is holding their daughters hostage in an abusive cult. A few former associates of Kelly spoke with reporter Jim DeRogatis and confirmed the parents’ accusations one calling him, “a master at mind control.” Fast forward to Jan. 2019 and now we have a three night docu-series called Surviving R. Kelly featuring interviews with some of the journalists who have reported on his abuse over the years, his victims, their parents and former associates. Okay, so I’m watching and I’m thinking this guy is a sicko, but I’m also scratching my head and going – okay why didn’t you stop him? Why didn’t you say anything? Why did you go with him? Honestly, this op-ed is not even about R. Kelly, I’m questioning the people involved with R. Kelly. Let’s start with the women. A lot of them said R. Kelly lured them in with promises of making them “the next Aaliyah” and in tender young naivety (ages 16-18) they believed it. In order for this to happen though, they had to be flown out to Chicago to his house. I understand being naive and excited but that wasn’t a red flag? I mean somebody with connections in the music world couldn’t have flown out to you, or called up a producer in your town? Not to mention he didn’t even bother to meet with your parents and express his desire to make you the ‘next Aaliyah’. Instead he wanted to fly you out, (I may be a nerd for this, but I’m thinking what about school, that attendance is not going to be pretty) and have you stay at his house, and you were okay with that? Joceyln Savage (Google her, she says she’s very happy with R.kelly), told TMZ her father knew R.Kelly and actually arranged things. Aaliyah, the late “Princess of R&B”, had a very flirtatious and obnoxious relationship with him, even going as far as to wearing matching clothing. It’s being speculated that Age Ain’t Nothin’ But A Number was an ode to their relationship. Aaliyah’s mother recently stated that “she was with her all of the time” so any allegations of relations between the two is false. Aaliyah’s uncle, Barry Hankerson, was her manager. So, if you two were both with her? How’d she wind up marrying R. Kelly at 15 by forging her age? Do y’all really expect us to believe that y’all of all people didn’t know that she was dating R. Kelly? I’m most disappointed in the uncle. You let your niece, whom I would assume – you were supposed to protect, fall prey to a predator, for the fame? Money? 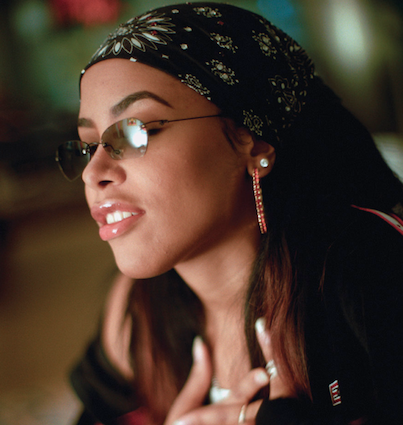 Sparkle, one of R. Kelly’s featured artists, introduced her 12-year-old niece to R. Kelly, even after the Aaliyah scandal, even after knowing he was abusive, even after knowing he was manipulative because she thought her niece “was a good rapper”. Girl…what were you thinking? She claims she came one day to find her in the studio by herself with him, and all she did was think how weird that was. She didn’t do what she should’ve done to protect her niece at all if you ask me. I can go on all day about this really, but for sake of length, I’ll end it here. This is not to excuse R. Kelly’s actions, but I simply want to draw the parallel to the ugly fact that he was given full access to these young ladies. These young women were not abducted they were willing to meet with him, and some of their parents or relatives didn’t do enough to protect them, even in their silence and acceptance of the “hush money”, no one did enough to protect these black girls. Why? ← Does the Media Give Enough Attention to Missing African American Women?